"Environmental leadership needs to come from all parts of the political spectrum." 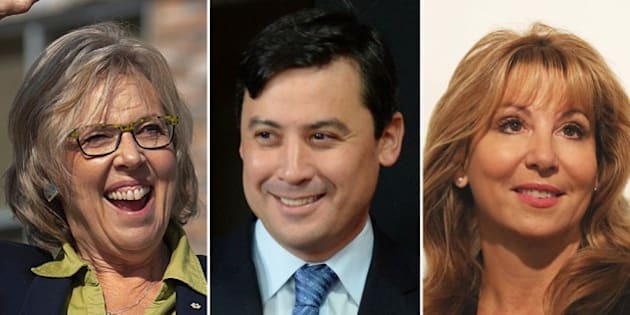 Among the federal candidates who remain unscathed by social media scandals, 18 are worth voting for based on their stances on the environment, according to a Canadian political action committee. Two Conservatives, seven New Democrats, six Liberals, and three Green Party candidates made GreenPAC's shortlist, released Wednesday. “Environmental leadership needs to come from all parts of the political spectrum,” said Aaron Freeman, the organization’s founder and president in a statement. “Traditionally, candidates who put the environment first have had fewer resources than their opponents,” Freeman explained, saying it’s GreenPAC’s mission to change that. Political action committees, commonly known as PACs, can play an influential role in swaying election outcomes by fundraising money for endorsement or attack campaigns. Freeman told CBC News earlier this year the organization is dedicated to supporting candidates who have a proven record of fighting for environmental issues. The 18 “environmental champions” were all selected by a panel of experts from various backgrounds including a former Innu Nation environmental planner and an economist at Simon Fraser University. GreenPAC pledges to transfer Canadians’ environmental concerns into the forefront of public and political discussion during and after the election.